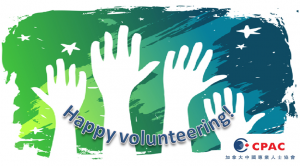 Assist in CPAC special events such as the Professionals Day, Education Day, Award Gala of Education Foundation, etc. In return, CPAC provides support and resources for you to implement your ideas, practice your leadership skills, and build your network of professionals. We would like to hear from you. Please click here to submit your application, you will be contacted shortly.